I love running by water; there is something both relaxing and stimulating about running by water. It might be the shimmer as the light plays off the water, the feel of the air, or the sound of the waves. Running around the Serpentine in a Park Run, during a bright early morning summers day is a meditation on running but to be truly connected to water it has to be the River Run, I love being beside the Thames in the early morning. 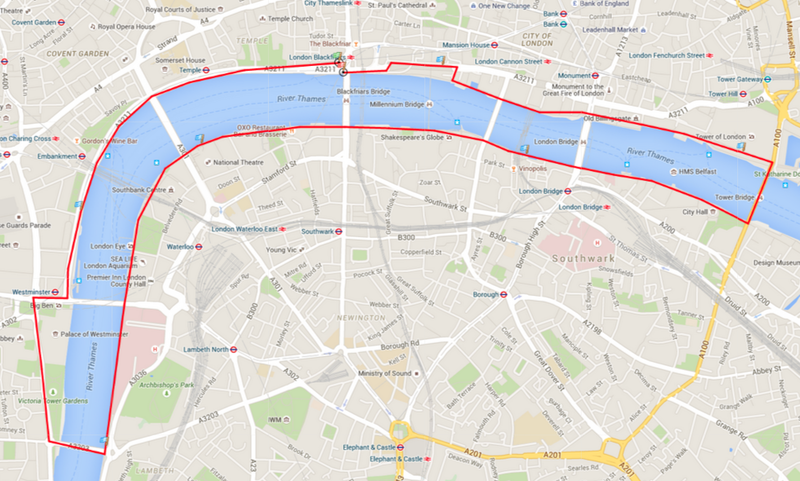 And I guess this is why one of my favourite London Runs is a 10K oval from Blackfriars Bridge turning towards Tower Bridge or running on to Lambeth Bridge, before crossing to the South Bank and coming back to Blackfriars Bridge. To me the Thames is a living breathing entity; it is the flowing power of the River cutting through the city, which makes London the place it is. When I first came to London, I use to sit for hours by the Lion on Westminster Bridge; a Lion made from durable artificial stone. I have always seen the Lion as standing proud protecting the River. At times when I felt overwhelmed by the demands of the city, I could almost feel the Lion protecting me just as if someone knew the importance of protecting the River, something dear to the diverse cultures of London. Over the years, I have seen many changes take place along the River, from Wheels to Bridges but what remains is the River. As I run and relax my breath, I can feel the ever presence of the river, as if time slows down, unchanging. I find myself connecting to the flow of the River, see the sights as if moments in an ever changing and evolving city. Yet as I begin flowing in my run with the River I too take on some of the permanence of the River, it is no longer I who is running but the building, as they change, fall away, and rebuild. History becomes the thing that is running not I, and in this state, I can take my time to really see the River, to notice the structure of the Wheel, Parliament, the place of government with the clock tower that we have all come to call Big Ben. Racing over Vauxhall Bridge, flying over the River, it is here that I want time to stop, to let me keep moving over the River, to feel the healing that water brings, and may be I think to myself, it is a great idea to build a hospital by the Rivers edge. Not to say anything about the position of a place of Government and a place of Healing looking across from each other. 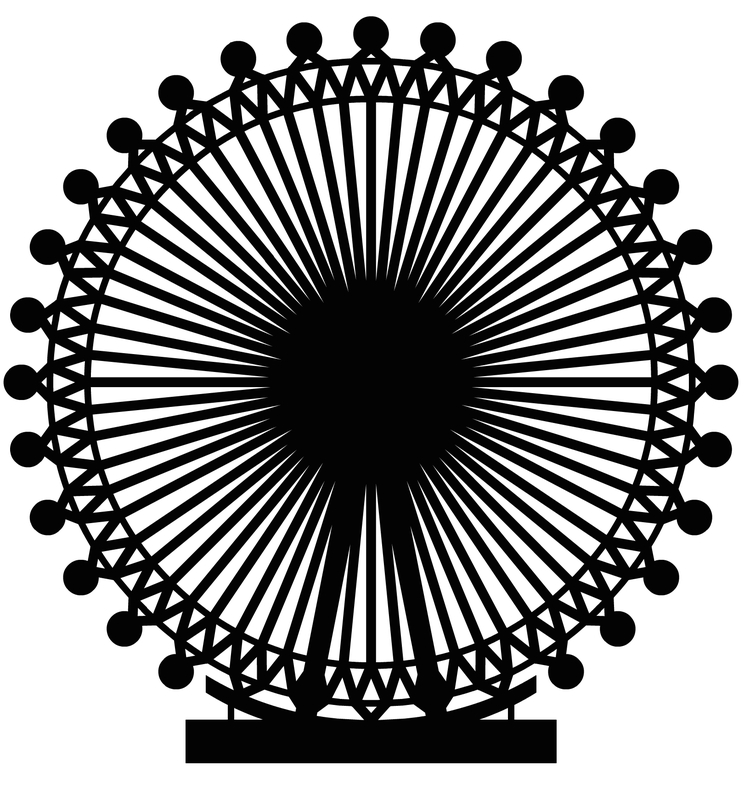 Passing by the London Eye, I find myself caught in the web of steel string, what mystical power must be held in its frame as it connects to the multitude of eyes scanning the city day and night. How many eyes have looked out from this one big eye? The South Bank when I was first drawn to London was quite and still, now it is busy and active, it has gone from the place out side the city where pleasure could be had, to a stillness and almost emptiness, sleeping, waiting again for a time in which fun and pleasure could be found and now waking up again full of life, imagination, and fun. Running through the South Bank is a chance to open up the Run; the wide paving makes room for speed, (but only if you get there early). There is pleasure and fun in a wide open run sometimes running against the tide at other times running with the tide, past the old that become new, Bankside Power station to the Tate Modern to new that is old Shakespeare’s Globe. As I run on towards London Bridge, I am thrown back in time as the tight labyrinth like alleyways become Dickensian, I know that for a while now I have lost the River as I wind my way on to London Bridge. I am a time travel as my legs, arm, and breath propel me onwards through time. Then at last I am back on the River, with Tower Bridge in sight. A Bridge that although it feels as if it has been spanning across the River for an age, is only 120 years old. Running over Tower Bridge, I feel like a child, I swear you can feel the Bridge move as you cross the central point where the two half’s of the bridge meet. For me Tower Bridge marks a transition point. Beyond is Docklands and Greenwich places that I have yet to fully explore as a runner. But to see Sun rise from Tower Bridge is spell binding. Many times I have found myself stopping, not because I have chosen to but because my Mind, Body and Spirit, want to take a moment to recognise and connect to the bringer of Life. From Tower Bridge I am back on the north bank and heading home, pass the Tower of London, where many lost their heads. The use of the word Tower shows the chronology of London with one Tower being just 120 years old and the other Tower being over 1000 years old. 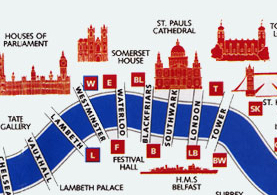 Here is truly illustrated that running London’s River is not just a distance in length it is a distance in time. I now follow the Thames footpath back to Blackfriars. I am so close to the River I can hear the movement of the tides. Here there is a decision to be made, take the ramp back to Blackfriars and end the run, or just a little bit more, listening to the voice of the River calling me on and listening to my legs saying I think that might be enough for today. Sometimes I listen to my legs and sometimes I hear the voice of the River calling me to push on. When I hear the River calling me on, I find I do not wanting to leave the River just yet.